The Zambia High Commission in Pretoria says it is investigating a matter in which a Zambian Pastor living in South Africa had his Church building vandalised. Pastor Shadreck Pandala of Abundant life in Burgerfort, Limpopo had his Church building pulled down by a group of local people. According to the information made available to the Zambian High Commission in Pretoria, the Church building had its window, door frames, roofing sheets and the P.A system completely removed. Pastor Pandala, through his Church was in the process of buying the building which was offered to him by a named mining company. The Mission was informed that Pastor Pandala together with his family were not harmed and the matter has been reported to the South African Police. And Zambia’s High Commissioner to South Africa Emmanuel Mwamba has expressed sadness with the development. He said the mission will however investigate the incidence to establish details leading to this attack. He said he was however happy that Pastor Pandala and his family were safe and still living in the same community. Recently the government of the Republic of South Africa formed a task-force to handle suspected xenophobic attacks on foreign nationals. Mr Mwamba has since called on Zambians living in South Africa to immediately report any attacks to the High Commission and the South African Police. This is according to a press statement made available to ZANIS by Zambia High Commissioner in South Africa, First Secretary for Press and Public Relations Naomi Nyawali in Lusaka today. I am sorry, but it is time to leave, Zambians go to Eswatini and Mauritius. Emmanuel, this time to go to Ethiopia man, leave it, its not worth it. Send Sunday Chanda to South Africa. South Africa has failed us. I feel sad for the Zulus. Zambian owned Church? Zambia owns churches???? I don’t trust pastorpreneurs! He probably vandalized his church so he can get more tithe. Surely how long does it take for a High commissioner to clear his desk and f off….what is taking Mwamba long to move house?? @2Jay Jay, May be he has been told to hold on,other wise he can’t stay there against the appointing authorities approval.Since he is breaking no law by being in S Africa,we shouldn’t worry ourselves with his continued presence there!! Is this church built of ifikopa (offcuts) for it to be pulled down that easily? Zambians must learn what happened in Algeria and Sudan and use the same strategy to oust this thieving criminal called Jameson Mutaware Chagwa Lungu and his PF baboon from power, arrest them and execute them all by firing squad. Bafikala aba baya saana, lekeni banye bombs. Why don’t you do it yourself instead of asking “Zambians” you coward. @Njangwa, we are serving you from those who about to set you on fire, and what you are writing shows that you’re not worth sparing. Njangwamuloty – Don’t champion such stupidity LAZY LUNGU is President of Zambia…if you have no strategy to kick him out via ballot because you have appointed old men as strategist just take up Tomato farming its more profitable!! @5 njangwa..we DONT need Algeria or Sudanese style of change which is signatured by soldiers.We have rejected Presidents before through the ballot so Edgar CANT be an exception ONCE PEOPLE’S MINDS ARE MADE FOR CHANGE! !If you want an uprising then come back and lead it,and build your following to support you!! @Njangwamuloty You must be arrested. you have no manners to compare us with Algeria and Sudan. may God deliver you for insulting elderly people. who brought you up? alaaaa. Have some respect, grow up. dont insult pipo u dont know and are not you mates. #5 You will be traced and arrested. Don’t complain because what you are doing is treasonous and cowardice. Your friend Assange of Wikileaks has finally been evicted from the embassy where he’s been hiding. So can you. 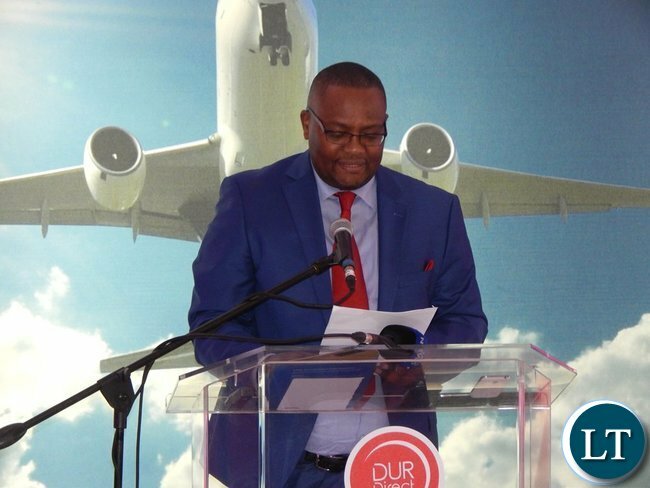 This Emmanuel Mwamba had a farewell Party BUT why is he still lingering in SA…go to Ethiopia!!!!!! South Africans don’t like fellow black people they call them “makwerekwere” .Time for Zambians to leave that satanic country Mzansi. Black people are not looking for white approval.Black civilization is not dependent on whites.Black yes.Yanky no.Peter Carlos Hinds. Viva Revolution.Blacks are not politely asking for independence.Peter Carlos hinds. No body but an ***** is going to bow down to American billionaires.Peter Carlos Hinds.